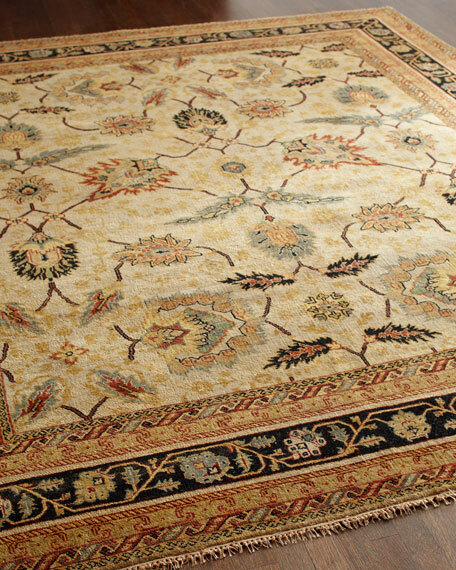 A traditional pattern rendered in a muted palette adds heirloom appeal to this classic rug. Hand knotted of hand-spun wool. Hand distressed for an aged look.